Sam Claflin, is best known for his supporting roles in the film Pirates of The Caribbean: On Stranger Tides and the Hunger Games film series. The very attractive English actor has been in the entertainment industry since 2010 and is working on making an internationally recognizable name for himself. Here’s everything you need to know about Sam Claflin. Samuel George Claflin is a well-known actor who was born on 27th June 1986 in Ipswich, Suffolk, England, UK. His parents are Mark Claflin and Susan Claflin. His father is an Accountant and a Finance manager for a charity radio station and his mother is a Classroom assistant at the high school he attended. As a young English lad, Sam was a football lover and still is as he never misses a game of his favorite soccer team, Norwich City. As a talented player, Sam played for Norwich schools at the city level and Norfolk county level. He would have built a professional career until he broke his ankle at age 16. This injury threatened his ambition and Sam had to seek a new career path. After much encouragement and persuasion from his parents and teachers, Sam Claflin began building up interest in acting. Upon finishing his education at Costessey High School in Norwich, Sam continued his education at Norwich City College where he studied Performing Arts and became a member of the Norwich City School of Excellence. He then did a 3-year BA (Hons) Acting course at the London Academy of Music and Dramatic Art (LAMDA). While at LAMDA, Sam Claflin performed in theatrical productions such as Tommy, As You Like It, The Man of Mode and Love Is. Sam has three brothers – his older brothers, Daniel Claflin and Benjamin Claflin are not involved in acting, but his younger brother, Joseph Claflin, born in 1989, seems to be following his footsteps. He is currently running a 3-year Acting programme at LAMDA. After graduating from LAMDA in 2009, Sam was cast in two award-winning miniseries, The Pillars of The Earth (2010), where he played Richard of Kingsbridge. The second miniseries he appeared in 2010 was Any Human Heart. He played the part of young Logan Mountstuart. Sam was later cast in a lead role in Pirates of The Caribbean: On Stranger Tides. He played Philip Swift – a kind and handsome missionary who fell in love with a mermaid, Syrena, played by Àstrid Bergès-Frisbey. The film also co-starred Johnny Deep and Penelope Cruz. For his role, Sam Claflin received a nomination for Best Male Newcomer at the 2012 Empire Awards. In 2012, he was cast in the film Snow White and the Huntsman as Prince Williams. He reprised the role in a cameo appearance in the film’s sequel The Huntsman: Winter’s War. Sam Claflin was then cast as Finnick Odair in the Hunger Games franchise, appearing in three out of the franchise’s four films. More films and TV shows he appeared in include Love, Rosie, Mary and Martha, The Quiet Ones, The Riot Club, Me Before You, My Cousin Rachel, Journey’s End and Adrift. 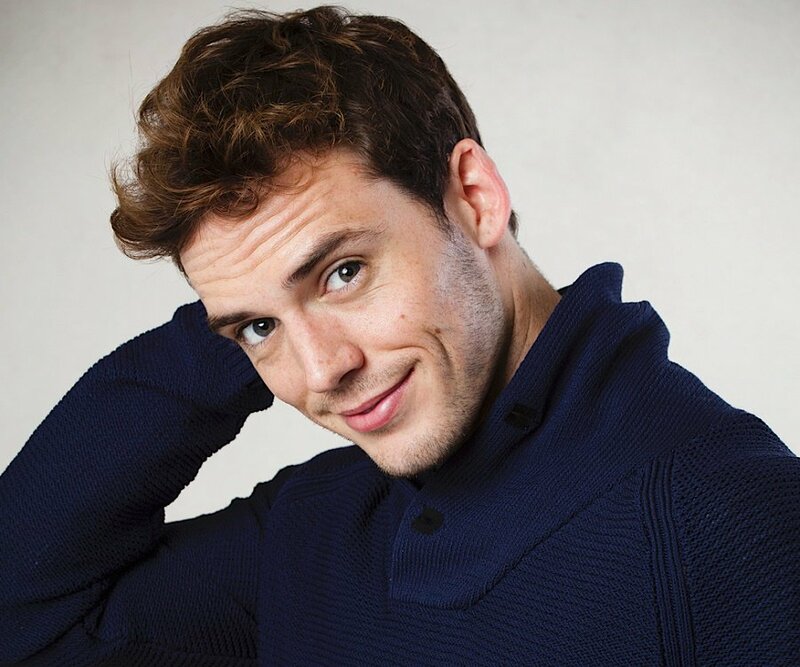 Sam Claflin is set to appear in The Corrupted and the Charlie’s Angels remake. 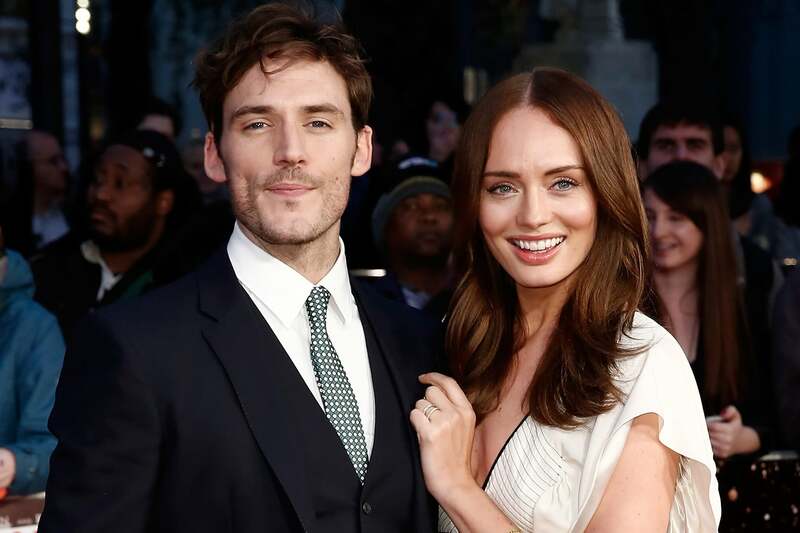 Sam Claflin married English actress Laura Haddock on the 30th of July, 2013 in a private ceremony right as his career began to rise to the top. Their relationship started in 2011 when the two met in an audition for the film My Week with Marilyn, which they both, unfortunately, didn’t get. Sam was going after the part of Colin Clarke, which ended up being played by Eddie Redmayne while Laura was also looking forward to playing the iconic Marilyn, which was later played by Michelle Williams. The actor confessed that the day he saw Laura at the audition, he called his agent, informing him that he has found the woman he was going to marry and thankfully, things worked out that way. Laura is also known for her remarkable performances both on TV and film. She is most credited for her role as Meredith Quill, Star Lord’s mother in Guardians of The Galaxy and its sequel Guardians of the Galaxy Vol. 2. She also played Kacie Cater in Honest, Lucrezia in Da Vinci’s Demons, Alison in The Inbetweeners and Viviane Wembly in Transformers: The Last Knight. Together, they have two children. Sam Claflin and wife Laura are proud parents to a son named Pip. Pip was born in December 2015 but because his parents live such private lives, his gender was hidden until six months after his birth. Pip also has a baby sister named Margot, born in 2018. Sam is in undeniable great shape. He currently weighs 83 kg and his height is recorded to be 5 feet 10 inches. Further details of the British movie star’s body measurements are not up for the public to see. Being an actor, it is not surprising that he has an enviable physique.